Trailer for movie “JK Rock” starring Shodai Fukuyama and Ryosuke Yamamoto. Movie is directed by Shunji Muguruma. The film follows rock group JoKers who broke up 1 year earlier. Members of the band attempt to reunite, but they need their singer Jyo Kaieda (Shodai Fukuyama) to become inspired by music again. 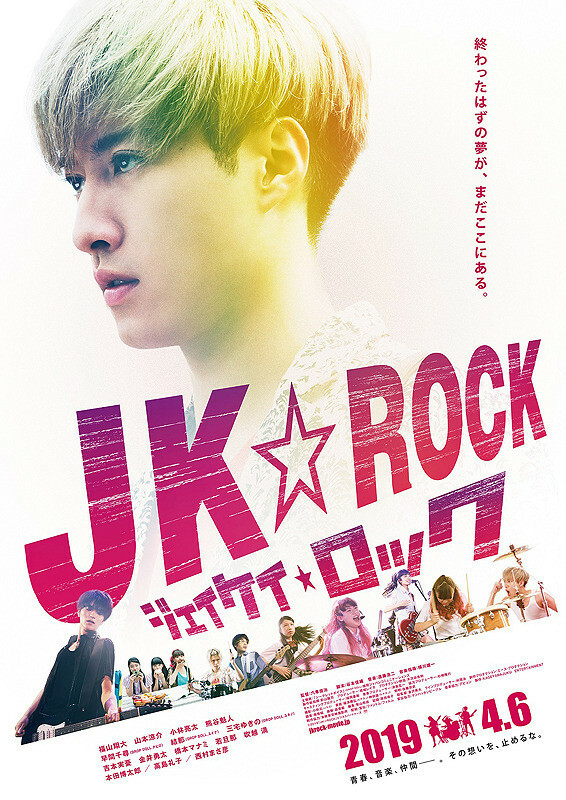 “JK Rock” will be released April 6, 2019 in Japan.